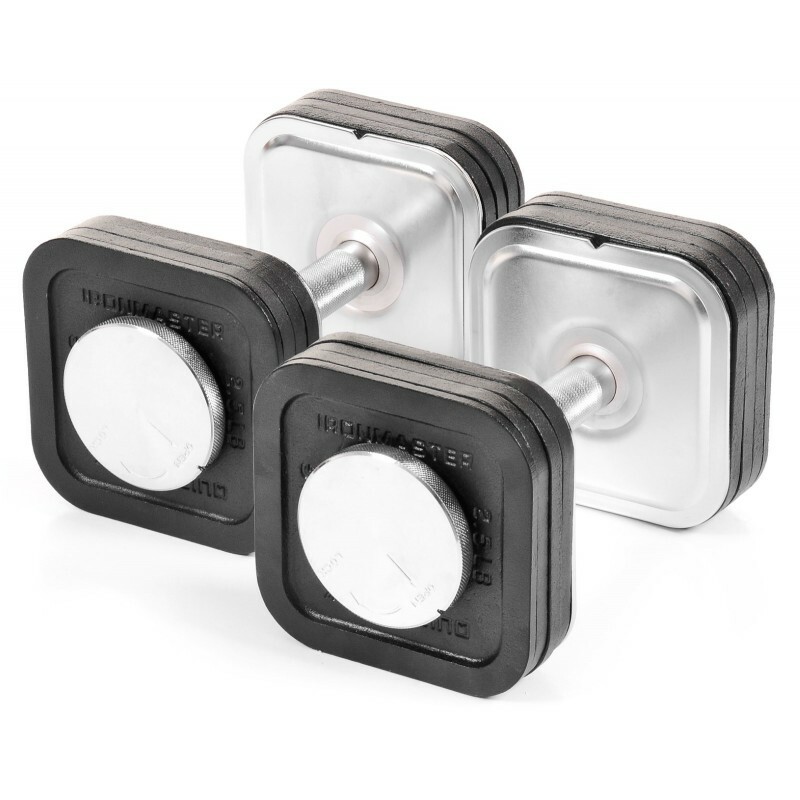 The Ironmaster 45lb Dumbbell Kit is a great entry level package for someone looking to get the convenience and quality of the Ironmaster Quick Lock System. Don't waste your time with inferior products when you go straight to the top shelf! Inclusions The 45lbs Dumbbell Kit comes with 12 x 5lb plates plus 4 x 2.5lb plates. Dumbbell Handles and Locking Screws. Warranty Lifetime warranty for the original purchaser, for domestic use. If you have been eyeing off the Ironmaster Quick Lock Dumbbell Set, but don't want to spend that much, we now have the Ironmaster 45lbs Dumbell Set. The kit includes: 1 pair of Quick Lock Handles, 12 x 5lbs plates and 4 x 2.5lbs plates. 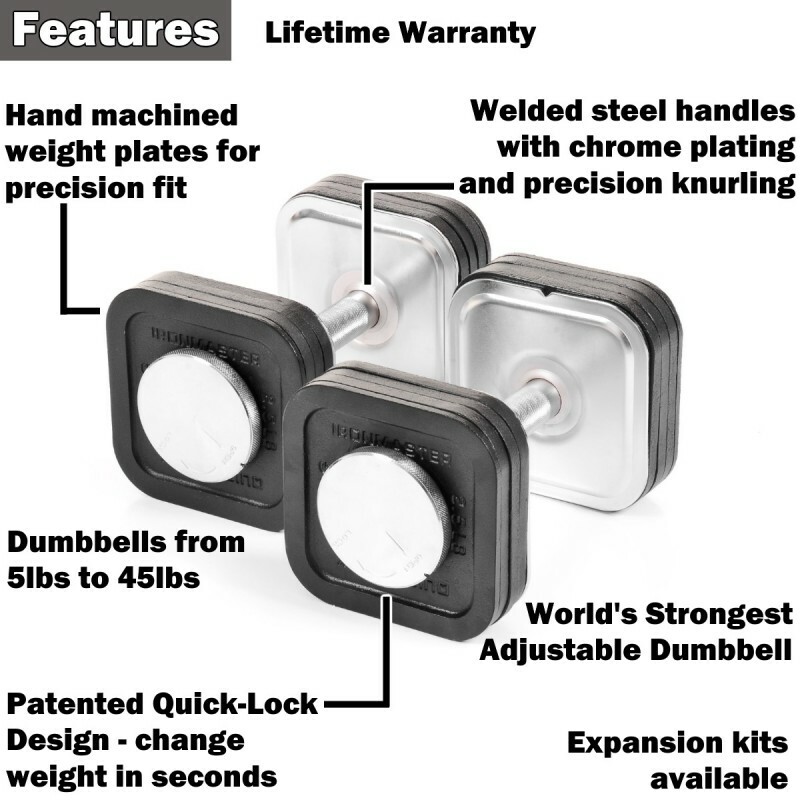 The World's Strong Adjustable Dumbbells - made from steel and iron. Dumbbells adjust from 5lbs to 45lbs in 5lbs increments. This system replaces 9 pairs of dumbbells! Expansion kits available - add more weight as you get stronger. Tried and tested patented quick lock design - been around for years and are known as the premier brand of adjustable dumbbells. Handles are made from steel and welded. 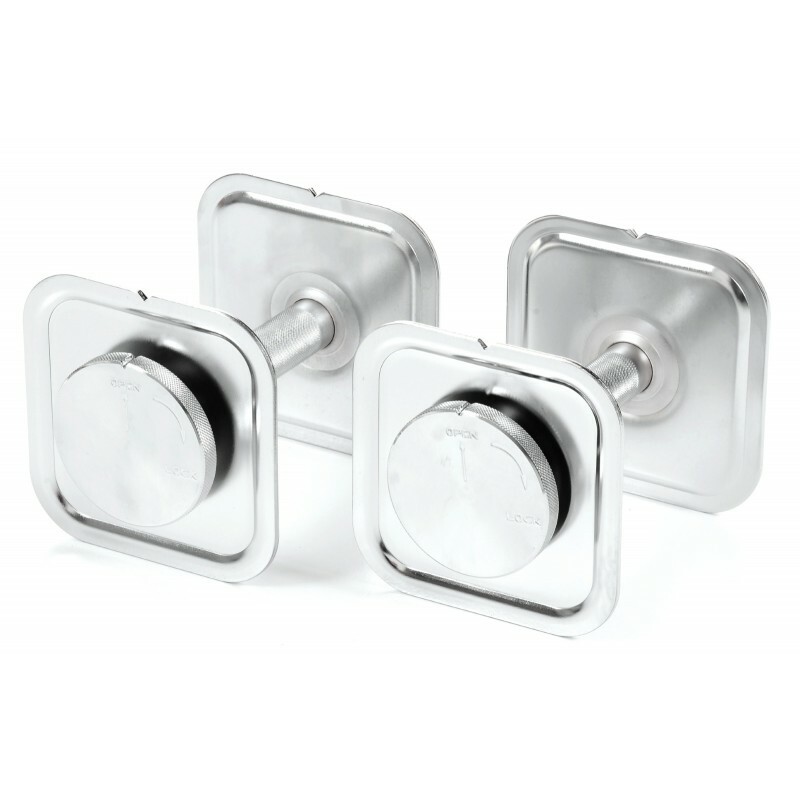 They feature a precision knurl and finished in a highly durable chrome plating. Weight plates are hand machined for a precision fit. Now these are probably more than double the price of the adjustable dumbbells with dials on the end. It wouldn't matter if they were ten times the price, the cheap dial types are rubbish and will fail eventually. We have heard many stories about these over the years. 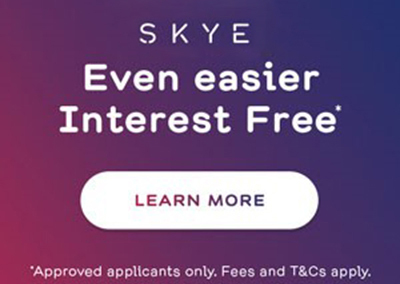 So if you go cheap, you are just throwing your money away. 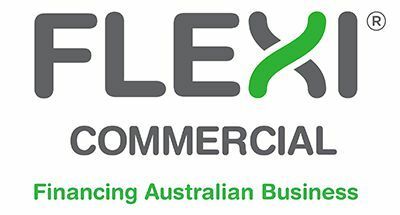 If you are fair dinkum about your training, buy something decent and you will have it for life. Plus the 45lb Ironmaster set can be expanded to 75lb, 120lb or 165lb per dumbbell. So you can keep adding on as you get stronger. Other than quality, the other massive advantage these dumbbells have over the competition is that they feel just like traditional dumbbells. Put the locking screw in, do a partial turn, the dumbbell is locked up tight. 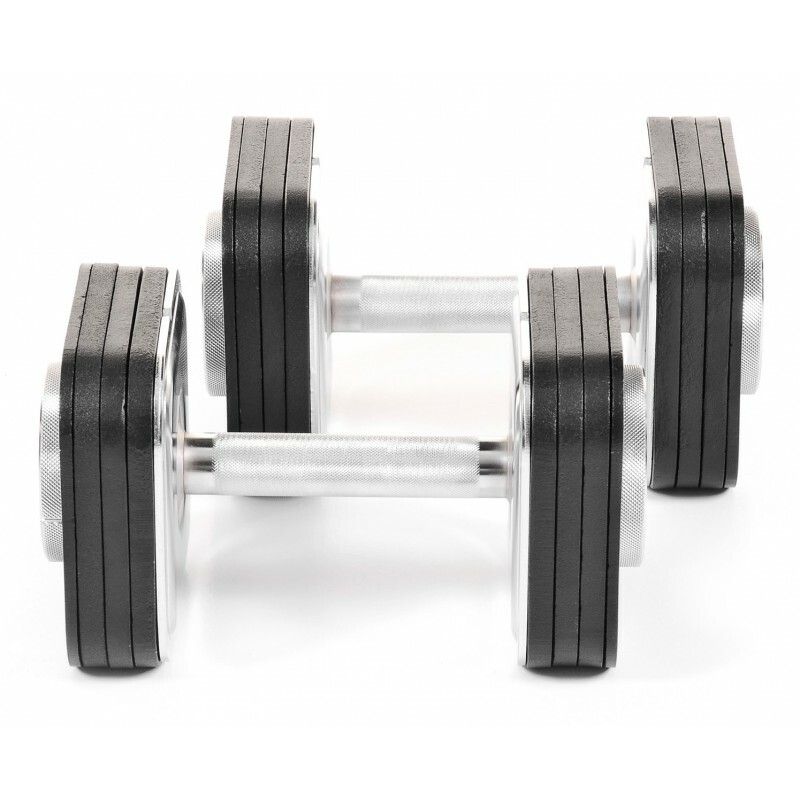 Unlike the dial type dumbbells, the lighter dumbbells are smaller in length, just like if you were using a fixed dumbbell set. This is ideal for isolation movements like side laterals, biceps curls etc. 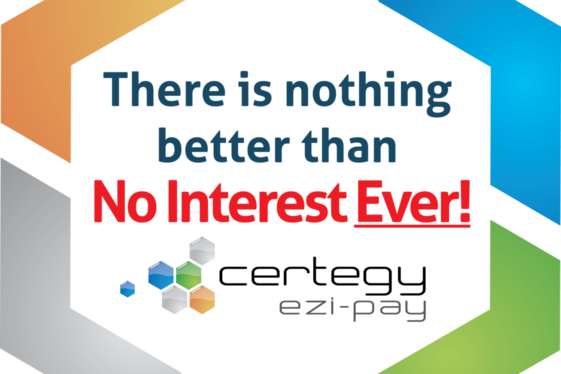 So when you factor in that you are getting a genuine high quality product, that lasts forever, you really are getting bargain. Dumbbell Stand is sold separately.